Out of our love for our neighborhood and a desire to see everyone in our community experience a deeper sense of wholeness in their lives, a collective of neighbors in Knoxville, TN, after years of dreaming and casting vision, have taken our first steps towards the cultivation of Burwell Gardens, a community & market garden in the North Knoxville neighborhood, Oakwood-Lincoln Park. We believe this garden can be a space where people are not only empowered to grow their own food, but are also able to initiate and deepen friendships with their neighbors, strengthening the overall relational fabric of our community. Additionally, we believe this can be a space where our neighbors’ souls are not only refreshed by the presence of beauty so readily visible in the garden, but their imaginations also are stirred as creativity is awakened in us all. It is these beliefs, coupled with two sobering realities of the Oakwood-Lincoln Park neighborhood, which were the impetus for our garden initiative. First, portions of our neighborhood can be classified as a “food desert”, an area where it is difficult to access affordable fresh produce; and second, our zip code is only one of two in Knoxville where heart disease is the number one cause of death. 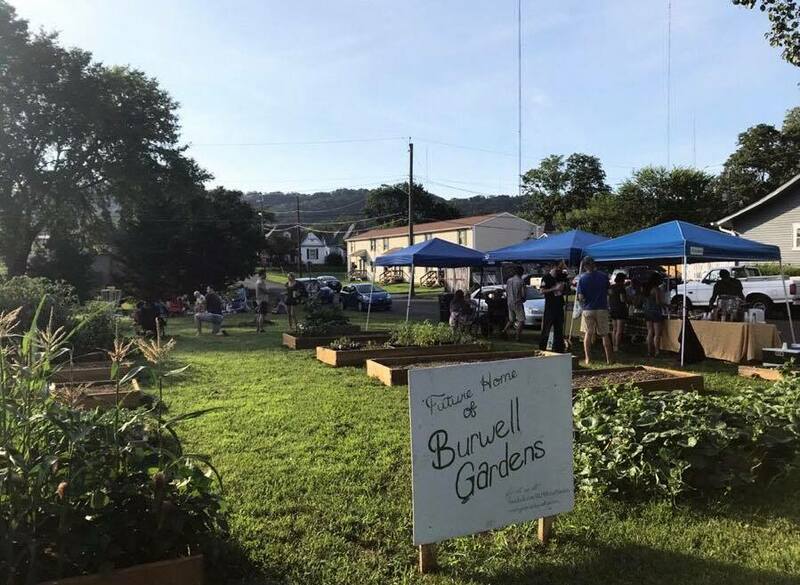 So it in our attempt to “mind this gap,” between the way things are and the way we believe they were intended to be, we planted Burwell Gardens to provide opportunities for physical activity and make fresh produce easily and affordably accessible. In order to do this sustainably, we created a non-profit organization, Cultivate Wholeness, with the purpose of initiating and leveraging community development projects to help increase the physical, relational, and spiritual health of our neighborhood and surrounding area. Cultivate Wholeness purchased a vacant and overgrown lot from the City of Knoxville and got to work. With funds raised through local crowd sourcing, we have built a dozen raised beds, constructed compost bins, created a fire pit, and planted berry bushes. We have hosted a number of community workdays and a successful Garden Grand Opening Party for the neighborhood where friends, family, immediate neighbors, and garden enthusiasts across the city all came together to celebrate. Tomatoes, peppers, broccoli, sunflowers, and more have been grown and the recent addition of a large “in-ground” garden plot bodes well for future harvests. But most importantly, relationships have already sprouted on both the personal neighbor to neighbor level as well as on an organizational partnership level. It is our hope and prayer that the Lord would pour out His Spirit like rain and shine His love as light over these relationships; bringing a fruitful harvest of wholeness for us all.